We’ve got your new career right here as an Auto Technician. Ready to to start your new career? Learn more and contact us today! Don’t overpay on your next repair or scheduled service. These money-saving coupons will save you big on your next Myrtle Beach automotive repair. 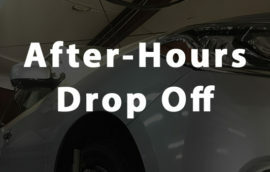 Save time by scheduling your service online. Turn Key Automotive also offers convenient free estimates with an ASE Certified technician right in the heart of Myrtle Beach. At Turn Key Automotive, we are a one stop shop for complete auto repair! Our Highly trained technicians can put your vehicle running like new. The following our some of the services we provide. As always we guarantee your Satisfaction! Check Out Our Full Line Of Services! 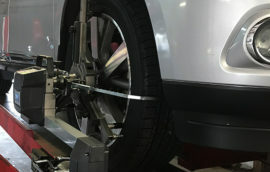 Nothing will destroy your expensive tires like an alignment issue and at Turn Key Automotive we can ensure your wheels are perfectly true. This both ensures your tires last as long as possible, but more importantly ensures you are safe on the road. 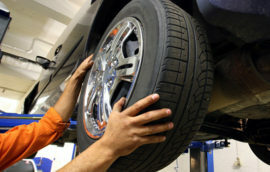 We’re Myrtle Beach’s source for your complete tire care. We stock quality Mastercraft, Cooper, and other top ranked tires at Myrtle Beach’s lowest prices. I took my car in for a problem which didn’t occur every time I drove it. They drove the car and figured out what needed to be done. They quoted me a cost which was fair and affordable. The staff at Turn Key is friendly. I will continue to use Turn Key for my auto repair needs. We have used Turn Key Automotive since we moved to Myrtle Beach in 2011. Originally came to them on the recommendation of a neighbor and have always been extremely satisfied with the service, professionalism and honesty. They are friendly, fast, and I never have to take the car back because some thing wasn’t done right.